$25.5 - Sweater weather is always better weather in this waffle knit option by Hayden. Your trend-setter will feel super chic when styling this versatile sweater all season long. With edgy details, this sweater has a torn look around the neckline and has a rough edge around the bottom hem. 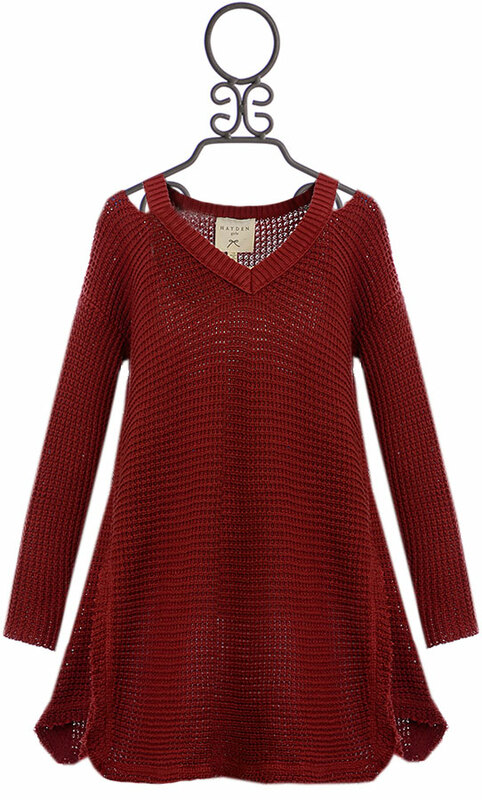 In a unique rusty red, this sweater is the perfect hue to match all the fall colors. This long tunic style sweater can be perfectly paired with Hayden's Room to Grow Leggings for a fashionable and complete look. SIZE 9/10 AVAILABLE.